By Anthony Crupi . Published on August 07, 2017. Just days after its ad sales unit announced it had landed a former Facebook exec to oversee its digital inventory, CBS Corp. on Monday made it known that its ambitions would continue to take it further beyond the realm of traditional TV with a teaser about plans to develop a new streaming sports service. Speaking to investors during the company's second-quarter earnings call, CBS chairman and CEO Les Moonves revealed that a 24/7 live-streaming outlet devoted to sports was in the works. While the project is very much still in the larval stage of development, the as-yet unnamed offering is expected to be modeled on the extant streaming news service, CBSN. 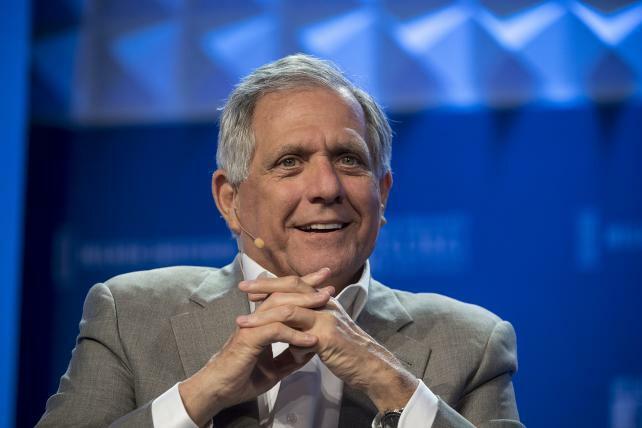 "CBS is a big player in the sports world," Moonves said, citing the network's rights deals with the NFL, the PGA and the NCAA Div. I Men's Basketball Tournament, which it cohosts alongside longtime partner Turner Sports. "We are going to look to differentiate ourselves from the ESPNs and the Fox Sports and, well, we think we have a great opportunity for success." Moonves went on to note that CBS already has an established online sports group in place down in Ft. Lauderdale, Fla., and that the new streaming sports service would piggyback off the CBSN infrastructure. CBSN in November will mark its third year of operations. Over-the-top sports played a particularly prominent role in the CBS earnings presentation; earlier in the call, Moonves told investors that Showtime's August 26 Floyd Mayweather-Conor McGregor bout will be available to stream even for fight fans who don't subscribe to the premium network. Those who buy the brawl will have an opportunity to sample Showtime OTT for a limited window after McGregor (presumably) gets hustled out of the T-Mobile Arena on a stretcher. In March, Moonves told attendees of the Deutsche Bank 2017 Media & Telecom Conference that broadcasters would prevail in the inevitable showdown between legacy TV brands and the upstart digital oligarchs. "We will be sharing or splitting or doing stuff, but I still think of broadcast as being really important to the NFL, that it is the national pastime -- sorry, baseball, but football has overtaken that name -- and I think it'lll be on the broadcast networks, I really do. I think that's going to be important to them." CBS and fellow broadcasters NBC and Fox re-upped their deals with the league in 2011. According to insider estimates, CBS's rights fee jumped from $619.8 million per season to $1.08 billion. The current deal is set to expire in 2022. Regardless of how the TV viewing landscape changes between now and when it's time for CBS to pull up a seat across from the NFL's negotiators, it's hard to imagine that the NFL would turn its back on its 60-plus-year association with CBS, which began broadcasting pro football action back in 1956. In fact, CBS was the very first TV network to broadcast a national slate of NFL games. Early streaming experiments on Yahoo and Twitter have been rather underwhelming, and unless a digital company can demonstrate what was once called "five-nines service" or 99.999% reliability, the NFL is unlikely to show the door to a linear broadcaster in favor of a relatively unproven platform. Thus far, the demand to stream NFL games on Twitter hasn't been nearly robust enough to provide a sense of scale; for example, the five CBS/NFL Network games that Twitter simulcast last season averaged just 2.5 million streams, adding just 278,800 impressions when measured by TV's standard per-minute average. Moreover, CBS's stewardship of its Sunday NFL games is a colossal draw. Per Nielsen live-plus-same-day data, the network's eight late-national windows and its Thanksgiving Day game last season averaged 23 million viewers and a 12.8 household rating, making it the second most-watched, highest-rated NFL window this side of Fox's analogous Sunday broadcasts. Downplaying that sort of reach in order to squeeze a few hundred-million bucks more out of a Mark Zuckerberg or a Jeff Bezos represents quite a stretch for the risk-averse NFL. In non-sports news, CBS announced that it was taking its All-Access streaming service global in the first half of 2018, beginning with a Canadian launch. The network also said that it had lined up a skinny bundle deal with DirecTV Now, which joins the ranks of Google's YouTube TV, Hulu and PlayStation Vue as an alternative outlet for CBS' programming. Second quarter entertainment revenue jumped 12% to $2.18 billion, thanks in large part to a 38% increase in affiliate and sub fees. The return of the NCAA Final Four and National Championship Game to CBS from TBS was instrumental in driving Q2 ad sales revenues up 6%.